Charlotte Adams (Née Nuttall) joined Durham University in 2009 and is currently an Assistant Professor in the Department of Geography. 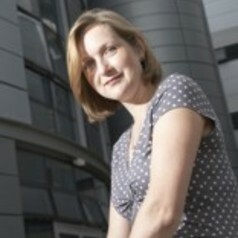 She is also Research Manager for the BritGeothermal Research Partnership. Her research interests are geothermal energy, low enthalpy heat, water and energy security, micro-generation and abandoned mines. Previously, Charlotte worked in industry as a renewable energy consultant specialising in geothermal energy and ground source heat. Prior to this, she was a Research Associate within the HERO group in the Department of Civil Engineering and Geosciences at Newcastle University working on the remediation of waters flowing from and within abandoned metal and coal mines.